This is a progress report on the Go toolchain improvements during the 1.8 development cycle. Now we’re well into November, the 1.8 development window is closing fast on the few remaining in fly change lists, with the remainder being told to wait until the 1.9 development season opens when Go 1.8 ships in February 2017. For more in this series, read my previous post on the Go 1.8 toolchain improvements from September, and my post on the improvements to the Go toolchain in the 1.7 development cycle. Since Go 1.5, released in August 2015, compile times have been significantly slower than Go 1.4. Work on addressing this slow down started in ernest in the Go 1.7 cycle, and is still ongoing. Robert Griesemer and Matthew Dempsky’s worked on rewriting the parser to make it faster and remove many of the package level variables inherited from the previous yacc based parser. This parser produces a new abstract syntax tree while the rest of the compiler expects the previous yacc syntax tree. For 1.8 the new parser must transform its output into the previous syntax tree for consumption by the rest of the compiler. Even with this extra transformation step the new parser is no slower than the previous version and plans are being made to remove this transformation requirement in Go 1.9. The take away is Go 1.8 is on target to improve compile times by an average of 15% over Go 1.7. Compared to the 3-5% improvements reported two months prior, it’s nice to know that there is still blood in this stone. Note: The benchmark scripts for jujud, kube-controller-manager, and gogs are online. Please try them yourself and report your findings. The big feature of the previous 1.7 cycle was the new SSA backend for 64 bit Intel. In Go 1.8 the SSA backend has been rolled out to all the other architectures that Go supports and the old backend code has been deleted. amd64, by virtue of being the most popular production architecture, has always been the fastest. As I reported a few months ago, the results comparing Go 1.8 to Go 1.7 on Intel architectures show middling improvement driven equally by improvements to code generation, escape analysis improvements, and optimisations to the std library. These are pretty big improvements from just recompiling your binary. The question of if defer can be used in hot code paths remains open, but during the 1.8 cycle Austin reduced the overhead of using defer by a half, according to some benchmarks. The runtime package benchmarks are a little less rosy. According to them defer improved by a third in most common circumstances where the statement closes over no more than a single variable. Additionally, an optimisation by David Crawshaw reduced the overhead of defer in the cgo path by nearly half. Go 1.7 supported 64 bit mips platforms, thanks to the work of Minux and Cherry. However, the less powerful but plentiful, 32 bit mips platforms were not supported. As a bonus, thanks to the work of Vladimir Stefanovic, Go 1.8 will ship will support for 32 bit mips. While 32 bit mips hosts are probably too small to compile Go programs natively, you can always cross compile from your development workstation for linux/mips. This entry was posted in Go, Programming and tagged arm, arm64, performance on November 19, 2016 by Dave Cheney. This is the text of my dotGo 2016 presentation. A recording and slide deck are also available. Two years ago I stood on a stage, not unlike this one, and told you my opinion for how configuration options should be handled in Go. The cornerstone of my presentation was Rob Pike’s blog post, Self-referential functions and the design of options. Since then it has been wonderful to watch this idea mature from Rob’s original blog post, to the gRPC project, who in my opinion have continued to evolve this design pattern into its best form to date. But, when talking to Gophers at a conference in London a few months ago, several of them expressed a concern that while they understood the notion of a function that returns a function, the technique that powers functional options, they worried that other Go programmers—I suspect they meant less experienced Go programmers—wouldn’t be able to understand this style of programming. And this made me a bit sad because I consider Go’s support of first class functions to be a gift, and something that we should all be able to take advantage of. So I’m here today to show you, that you do not need to fear first class functions. We start with some options, expressed as functions which take a pointer to a structure to configure. We pass those functions to a constructor, and inside the body of that constructor each option function is invoked in order, passing in a reference to the Config value. Finally, we call NewTerrain with the options we want, and away we go. Okay, everyone should be familiar with this pattern. Where I believe the confusion comes from, is when you need an option function which take a parameter. For example, we have WithCities, which lets us add a number of cities to our terrain model. Because WithCities takes an argument, we cannot simply pass WithCities to NewTerrain, its signature does not match. Instead we evaluate WithCities, passing in the number of cities to create, and use the result as the value to pass to NewTerrain. What’s going on here? Let’s break it down. Fundamentally, evaluating a function returns a value. We have functions that take two numbers and return a number. We have functions that take a slice, and return a pointer to a structure. and now we have a function which returns a function. The type of the value that is returned from WithCities is a function which takes a pointer to a Config. 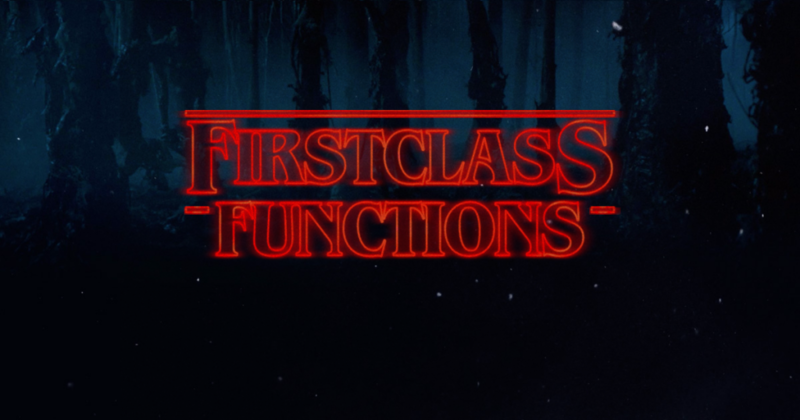 This ability to treat functions as regular values leads to their name: first class functions. Another way to think about what is going on here is to try to rewrite the functional option pattern using an interface. Rather than a function type we declare an interface, we’ll call it Option, and give it a single method, Apply which takes a pointer to a Config. Whenever we call NewTerrain we pass in one or more values that implement the Option interface. Inside NewTerrain, just as before, we loop over the slice of options and call the Apply method on each. This doesn’t look too different to the previous example. Rather than ranging over a slice of functions and calling them, we range over a slice of interface values and call a method on each. Let’s take a look at the other side, declaring the WithReticulatedSplines option. Because we’re passing around interface implementations, we need to declare a type to hold the Apply method. We also need to declare a constructor function to return our splines option implementation–you can already see that this is going to be more code. To write WithCities using our Option interface we need to do a bit more work. In the previous, functional, version the value of n, the number of cities to create, was captured lexically for us in the declaration of the anonymous function. Because we’re using an interface we need to declare a type to hold the count of cities and we need a constructor to assign the field during construction. Putting it all together, we call NewTerrain with the results of evaluating WithReticulatedSplines and WithCities. At GopherCon last year Tomás Senart spoke about the duality of a first class function and an interface with one method. You can see this duality play out in our example; an interface with one method and a function are equivalent. But, you can also see that using functions as first class values involves much less code. Let’s leave interfaces for a moment and talk about some other properties of first class functions. When we invoke a function or a method, we do so passing around data. The job of that function is often to interpret that data and take some action. Function values allow you to pass behaviour to be executed, rather that data to be interpreted. In effect, passing a function value allows you to declare code that will execute later, perhaps in a different context. To illustrate this, here is a simple calculator. It has a set of operations it understands. It has one method, Do, which takes an operation and an operand, v. For convenience, Do also returns the value of the accumulator after the operation is applied. Our calculator only knows how to add, subtract, and multiply. If we wanted to implement division, we’d have to allocate an operation constant, then open up the Do method and add the code to implement division. Sounds reasonable, it’s only a few lines, but what if we wanted to add square root and exponentiation? Each time we did this, Do grows longer and become harder to follow, because each time we add an operation we have to encode into Do knowledge of how to interpret that operation. Let’s rewrite our calculator a little. As before we have a Calculator, which manages its own accumulator. The Calculator has a Do method, which this time takes an function as the operation, and a value as the operand. Whenever Do is called, it calls the operation we pass in, using its own accumulator and the operand we provide. So, how do we use this new Calculator? You guessed it, by writing our operations as functions. This is the code for Add. What about the other operations? It turns out they aren’t too hard either. As before we construct a Calculator and call it passing operations and an operand. Now we can describe operations as functions, we can try to extend our calculator to handle square root. But, it turns out there is a problem. math.Sqrt takes one argument, not two. However our Calculator’s Do method’s signature requires an operation function that takes two arguments. Maybe we just cheat and ignore the operand. That’s a bit gross, I think we can do better. Let’s redefine Add from a function that is called with two values and returns a third, to a function which returns a function that takes a value and returns a value. Do now invokes the operation function passing in its own accumulator and recording the result back in the accumulator. Now in main we call Do not with the Add function itself, but with the result of evaluating Add(10). The type of the result of evaluating Add(10) is a function which takes a value, and returns a value, matching the signature that Do requires. Subtraction and multiplication are similarly easy to implement. But what about square root? This implementation of square root avoids the awkward syntax of the previous calculator’s operation function, as our revised calculator now operates on functions which take and return only one value. Hopefully you’ve noticed that the signature of our Sqrt function is the same as math.Sqrt, so we can make this code smaller by reusing any function from the math package that takes a single argument. We started with a model of hard coded, interpreted logic. We moved to a more functional model, where we pass in the behaviour we want. Then, by taking it a step further, we generalised our calculator to work for operations regardless of their number of arguments. 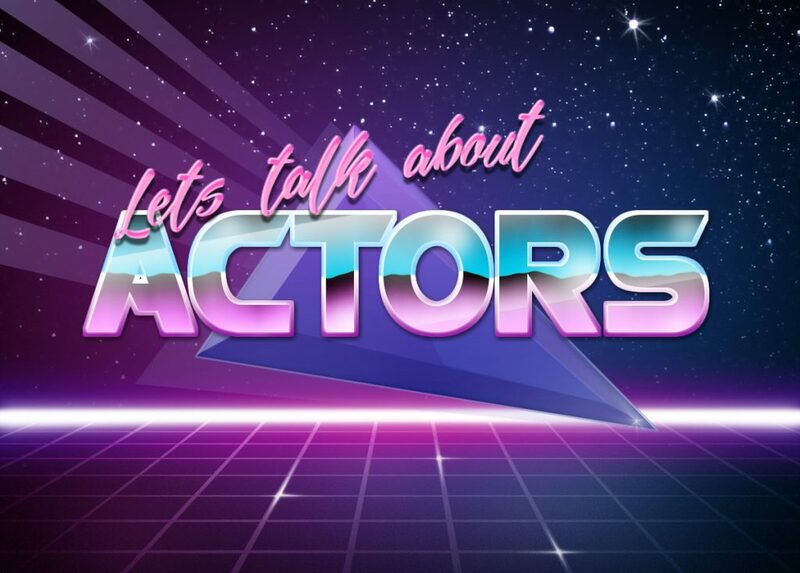 Let’s change tracks a little and talk about why most of us are here at a Go conference; concurrency, specifically actors. To give due credit, the examples here are inspired by Bryan Boreham’s talk from GolangUK, you should check it out. Suppose we’re building a chat server, we plan to be the next Hipchat or Slack, but we’ll start small for the moment. We have a way to register new connections. And a way to send a message to all the registered connections. Because this is a server, all of these methods will be called concurrently, so we need to use a mutex to protect the conns map and prevent data races. Is this what you’d call idiomatic Go code? Our first proverb–don’t mediate access to shared memory with locks and mutexes, instead share that memory by communicating. So let’s apply this advice to our chat server. Rather than using a mutex to serialise access to the Mux‘s conns map, we can give that job to a goroutine, and communicate with that goroutine via channels. Add sends the connection to add to the add channel. Remove sends the address of the connection to the remove channel. And send message sends the message to be transmitted to each connection to the sendMsg channel. Rather than using a mutex to serialise access to the conns map, loop will wait until it receives an operation in the form of a value sent over one of the add, remove, or sendMsg channels and apply the relevant case. We don’t need a mutex anymore because the shared state, our conns map, is local to the loop function. adding a helper to send the data over the channel. extending the select logic inside loop to process that data. Just like our Calculator example we can rewrite our Mux to use first class functions to pass around behaviour we want to executed, not data to interpret. Now, each method sends an operation to be executed in the context of the loop function, using our single ops channel. In this case the signature of the operation is a function which takes a map of net.Addr’s to net.Conn’s. In a real program you’d probably have a much more complicated type to represent a client connection, but it’s sufficient for the purpose of this example. Remove is similar, we send a function that deletes its connection’s address from the supplied map. SendMsg is a function which iterates over all connections in the supplied map and calls io.WriteString to send each a copy of the message. You can see that we’ve moved the logic from the body of loop into anonymous functions created by our helpers. So the job of loop is now to create a conns map, wait for an operation to be provided on the ops channel, then invoke it, passing in its map of connections. But there are a few problems still to fix. The most pressing is the lack of error handling in SendMsg; an error writing to a connection will not be communicated back to the caller. So let’s fix that now. To handle the error being generated inside the anonymous function we pass to loop we need to create a channel to communicate the result of the operation. This also creates a point of synchronisation, the last line of SendMsg blocks until the function we passed into loop has been executed. Note that we didn’t have the change the body of loop at all to incorporate this error handling. And now we know how to do this, we can easily add a new function to Mux to send a private message to a single client. To do this we pass a “lookup function” to loop via the ops channel, which will look in the map provided to it—this is loop‘s conns map—and return the value for the address we want on the result channel. In the rest of the function we check to see if the result was nil—the zero value from the map lookup implies that the client is not registered. Otherwise we now have a reference to the client and we can call io.WriteString to send them a message. And just to reiterate, we did this all without changing the body of loop, or affecting any of the other operations. First class functions bring you tremendous expressive power. They let you pass around behaviour, not just dead data that must be interpreted. First class functions, like the other features Go offers, should be used with restraint. Just as it is possible to make an overcomplicated program with the overuse of channels, it’s possible to make an impenetrable program with an overuse of first class functions. But that does not mean you shouldn’t use them at all; just use them in moderation. First class functions are something that I believe every Go programmer should have in their toolbox. First class functions aren’t unique to Go, and Go programmers shouldn’t be afraid of them. If you can learn to use interfaces, you can learn to use first class functions. They aren’t hard, just a little unfamiliar, and unfamiliarity is something that I believe can be overcome with time and practice. So next time you define an API that has just one method, ask yourself, shouldn’t it really just be a function? This entry was posted in Go, Small ideas on November 13, 2016 by Dave Cheney.